The two big packs here are the "Fantastic Beasts and Where to Find Them" Story Pack, and the "Sonic the Hedgehog" Level Pack. 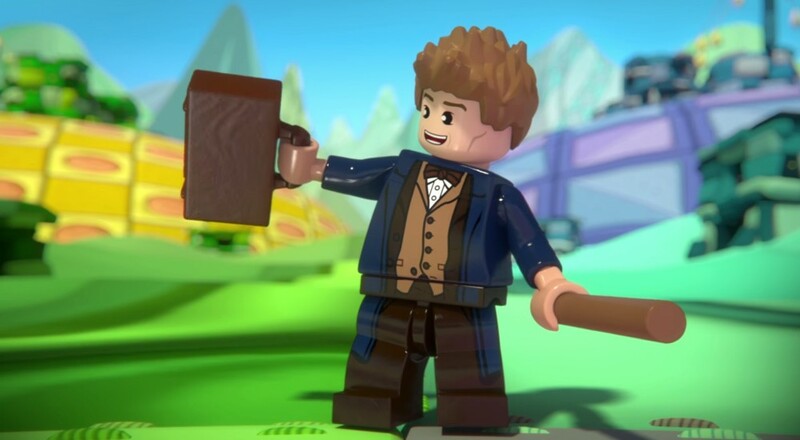 The former includes a new hero figure (Newt Scamander) and a new vehicle (the Niffler) along with six new levels that follow the story of the film/play/book. It also lets you change the LEGO Gateway on the Portal Pad to the Magical Congress of the United States of America (MACUSA) building. These story packs are the new tier of expansions for LEGO Dimensions this year, with the first one based on the new "Ghostbusters" movie from this past summer. The Sonic level pack includes everyone's favorite blue speedster along with two vehicles: the Sonic Speedster and the Tornado. You'll also get to race your way through a few levels that are set in the familiar Green Hill and Emerald Coast zones. The "Fantastic Beast" Story Pack retails for $49.99, the "Sonic" Level Pack is $29.99, and the "Gremlins" Team Pack and "E.T." Fun Pack are $24.99 and $11.99, respectively. Chances are pretty good that Amazon or some other site will have these on sale for Black Friday/Cyber Monday, so definitely keep an eye out on all of those deals flying around. Page created in 0.4879 seconds.